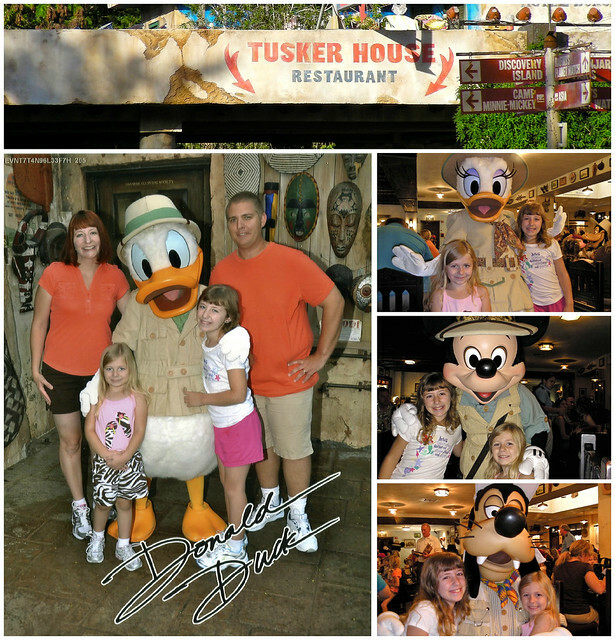 When you vacation at Walt Disney World, meeting characters is a MUST DO! You have a couple options of how to go about getting those autographs and special snapshots. You can either stand in a long line for one rushed moment with that favorite character, OR you can book a character meal, then sit in a comfortable air conditioned restaurant enjoying a delicious meal while the characters come to you! I pick option #2 every time! 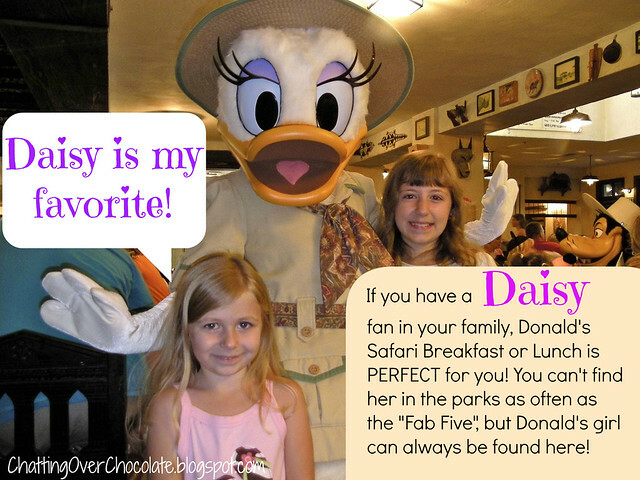 This Magical Monday I'm excited to share about our experiences with many character meals, in hopes of helping you choose the perfect dining experience for your family's next trip to WDW! The biggest perk of booking fairytale dining at Cinderella's Royal Table is that you will be dining IN Cinderella's Castle! Walt Disney World. 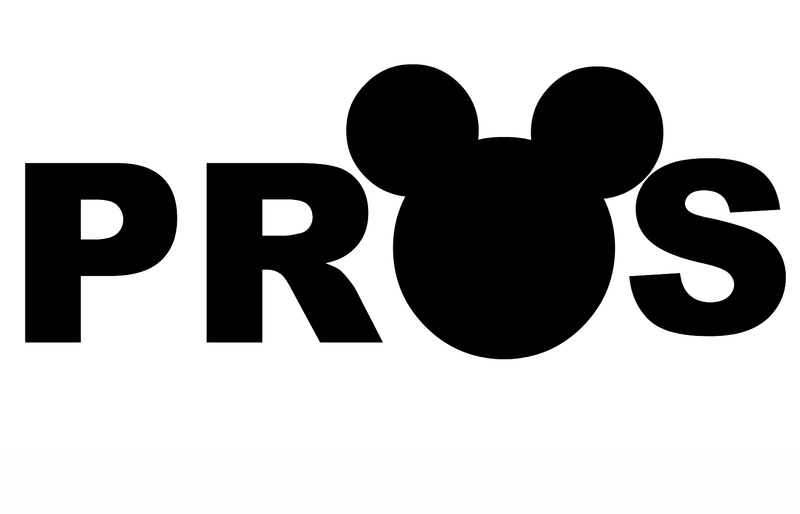 Where dreams come true! 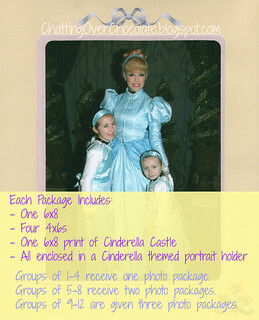 A complimentary photo package and a few souvenirs are included in the cost of your meal. 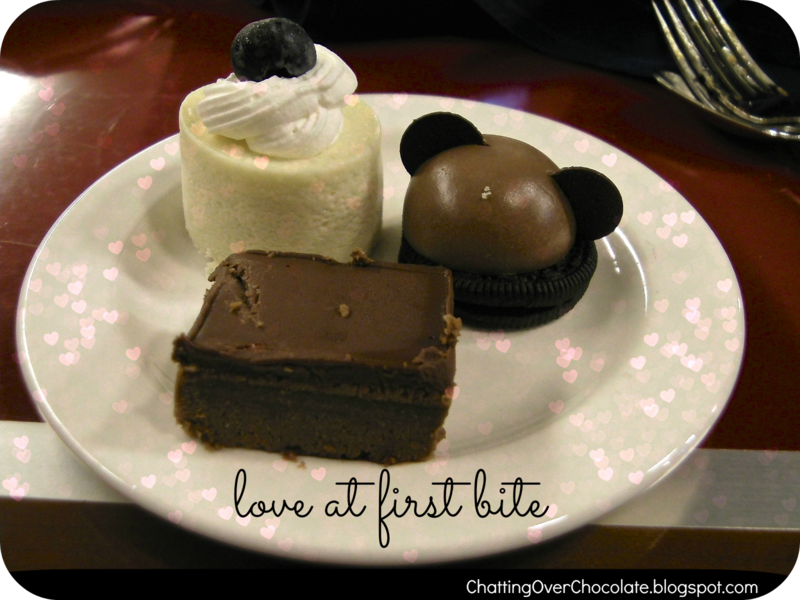 This royal meal is the most expensive character meal on WDW property, yet it's also the hardest reservation to obtain. Since this restaurant is so popular you may feel more rushed here than at the other character meals. Some joke that cast members do everything short of pre-chewing your food for you, to get you in and out of there as quickly as possible. 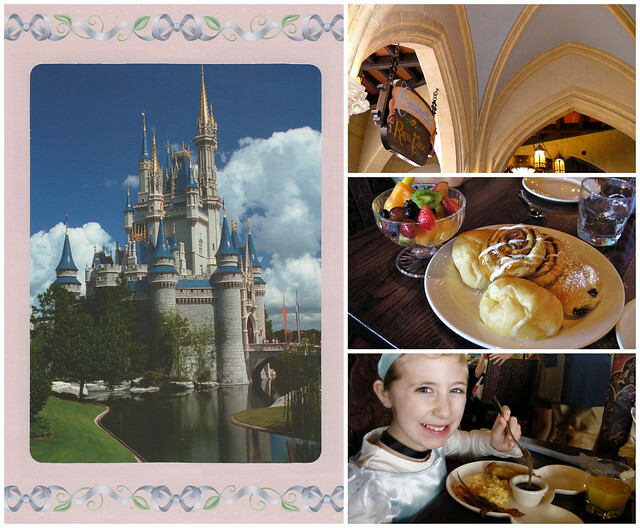 All that being said, we've dined there twice and are thankful to have those precious memories of eating in the midst of royalty in the landmark of Magic Kingdom, Cinderella's gorgeous castle. *For guests using the Disney Dining Plan, this meal requires 2 dining credits. 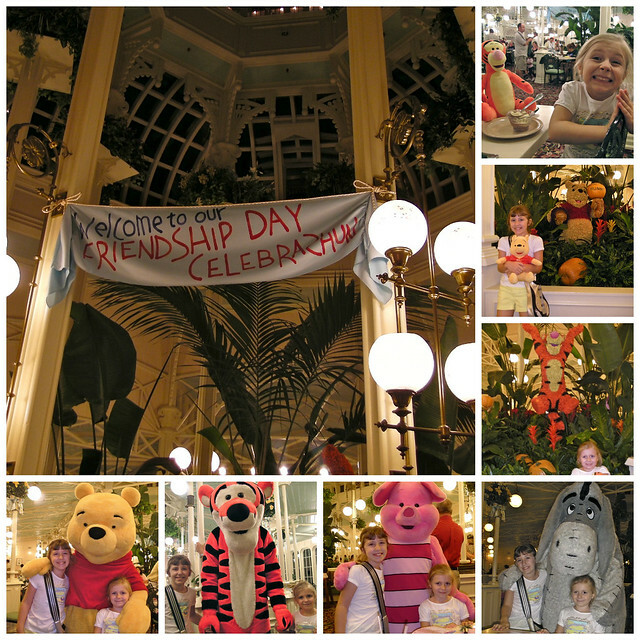 If Winnie the Pooh holds a special place in your heart, you'll wanna nab a reservation at The Crystal Palace! While you can find Pooh and his bouncin' buddy, Tigger, elsewhere, this is the only meal where you'll see P-p-piglet, and Eeyore, if anyone cares to see him at all. ;) This entire restaurant is dripping in themed goodness like honey from the paw of a hungry Pooh Bear. Check out the adorable topiaries modeled after the 100 Acre Wood characters! So fun! The drawback of this restaurant is the noise level. It is extremely loud. It's such a bustling (aka: crowded) restaurant that you'll also likely find yourself in a long line simply to reach the podium to let them know you've arrived for your reservation. Bring both your patience and your appetite and you'll have a Tiggerific good time! 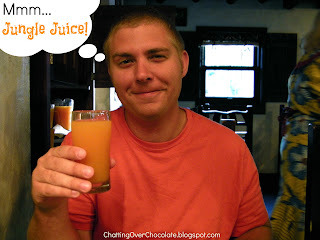 This is the only character meal in the World Showcase, and the only table service breakfast in Epcot. 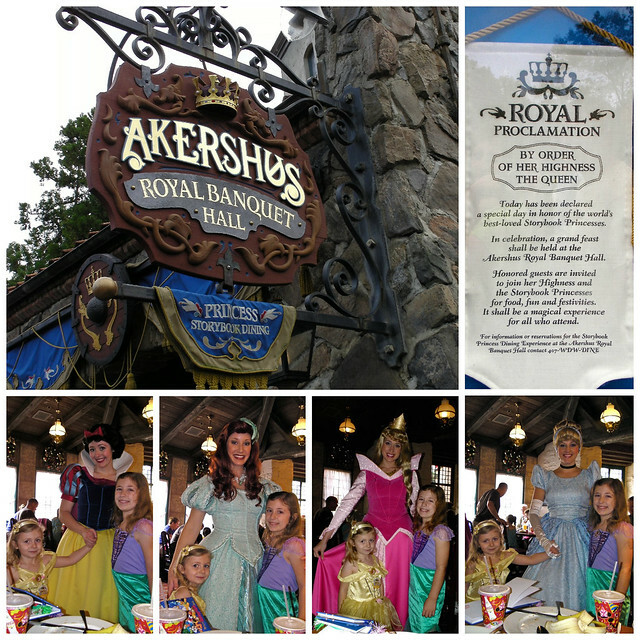 Akershus' Princess Storybook Dining is a fantastic money saving alternative to dining at Cinderella's Royal Table! 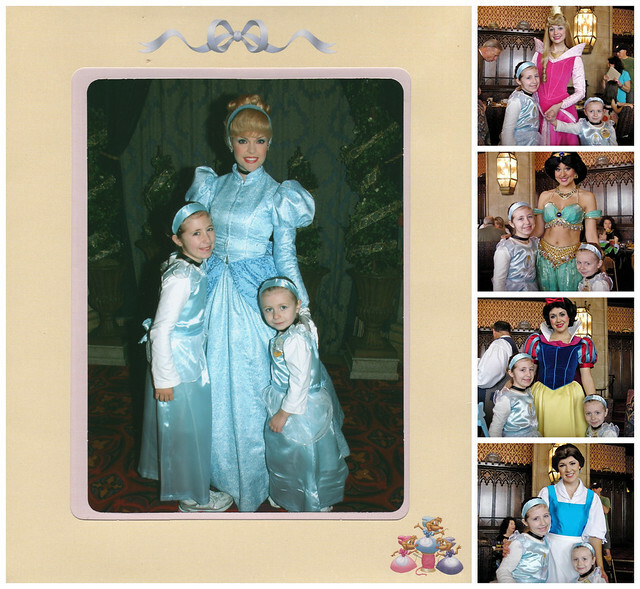 You'll meet princesses and enjoy a lovely meal for a fraction of the price! 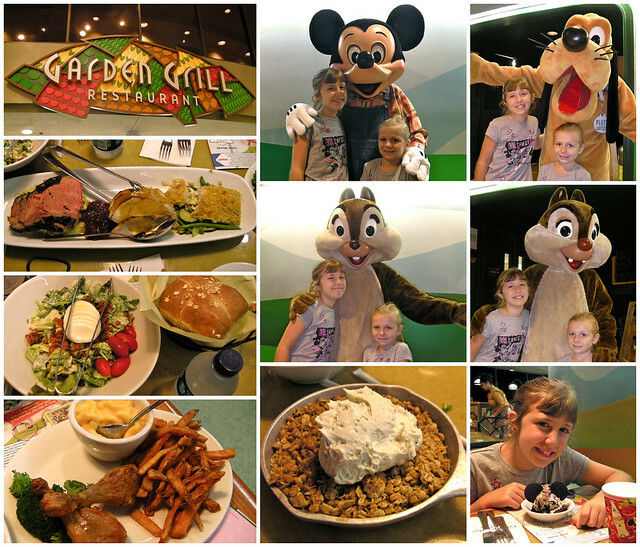 We love Chip 'n' Dale's Harvest Feast Dinner offered at The Garden Grill! Unlike most character meals, this restaurant serves a fixed menu, family style. You just sit still and enjoy, but the restaurant doesn't! It actually rotates throughout your meal! You'll have a continually changing view from the "Living with the Land" attraction. I suggest dining here towards the end of your trip. After a week or more of "vacation food" this home-cooked style meal really hits the spot! Characters you'll likely meet here are Chip 'n' Dale, Farmer Mickey, and his pal, Pluto! This is the only table service breakfast served in Hollywood Studios. You'll meet Disney Junior characters here! You'll ONLY meet Disney Junior character here! ... I mean, than in a restaurant that's themed as a Harambe marketplace eatery, filled with characters dressed in safari costumes. By the end of the meal you may even forget you're actually in Florida! As you enjoy a scrumptious meal from the buffet, not only will characters make their way around to meet you, one will even invite your kids to grab a maraca and dance around the tables with them! The sights, sounds, and flavors of Africa found here are a perfect way to kick off a day in Disney's "Wild"est Park! They also host a Cinderella's Happily Ever After Dinner here, where you can meet Cindy and her Prince, as well as her disapproving stepmother, Lady Tremaine, and her mean (but hilarious) stepsisters. At 'Ohana's Best Friends Breakfast you'll meet Lilo, Mickey Mouse, and their best friends, Stitch and Pluto! We haven't dined at this character breakfast yet, but plan to enjoy it later this Fall. 'Ohana is our family's #1 Pick for dinner in all of WDW Property! 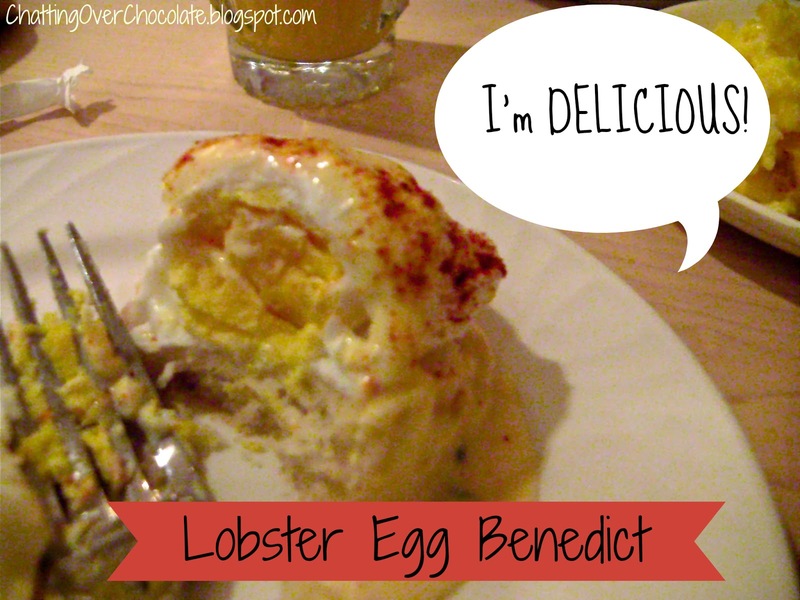 We absolutely love the atmosphere and the abundance of amazing eats there in the evening. Stay tuned for a review later this year on what it's like to kick off your day with breakfast there. Meanwhile I'll just stick to the facts. ;) It's an all-you-care-to-enjoy, family style meal served from 7:30-11:30am at the gorgeous Polynesian Resort. 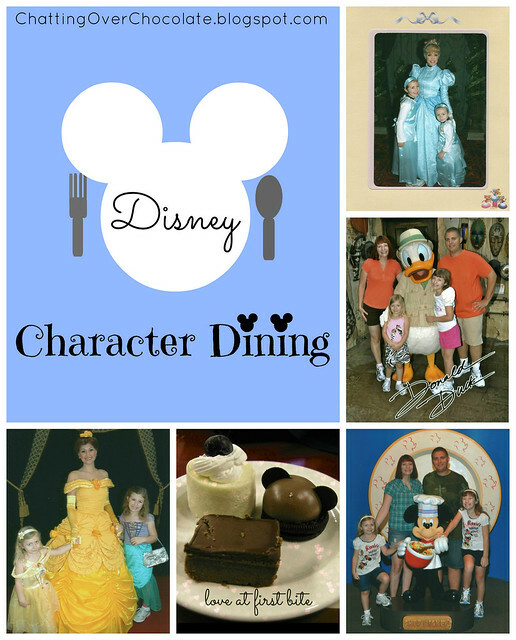 Character dinner offered daily. Saturday and Sunday mornings they host character breakfast as well. You can enjoy themed buffets throughout the week here. One night they serve Italian, the next it may be Mexican. You can call 407-WDW-DINE for more details before booking if you have a certain cuisine you'd most enjoy. The pitfall of this restaurant would be location, Walt Disney World Swan Hotel. If you are relying on WDW transportation, this hotel is not as easily accessible to get to as most others. Characters you may meet here include Rafiki, Timon, Goofy, and Pluto. At Disney's Beach Club Villas you'll find a restaurant with tables covered in white paper table cloths. The kids (and young at heart) are welcome to doodle crayon masterpieces between bites of Mickey waffles, Cape May Cafe French Toast Bread Pudding, and anything else your tummy desires from the buffet. This is the easiest character meal to book last minute. If you let yourself get in a pinch, this may be the choice for you! You'll likely meet Goofy, Donald Duck, and Minnie Mouse, all dressed for a lovely day at the beach! 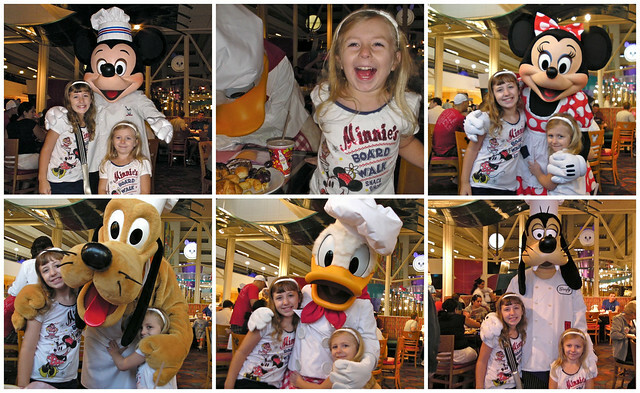 Some of our most magical memories have been made at Disney restaurants. There's nothing quite like super cute (and equally YUMMY!) 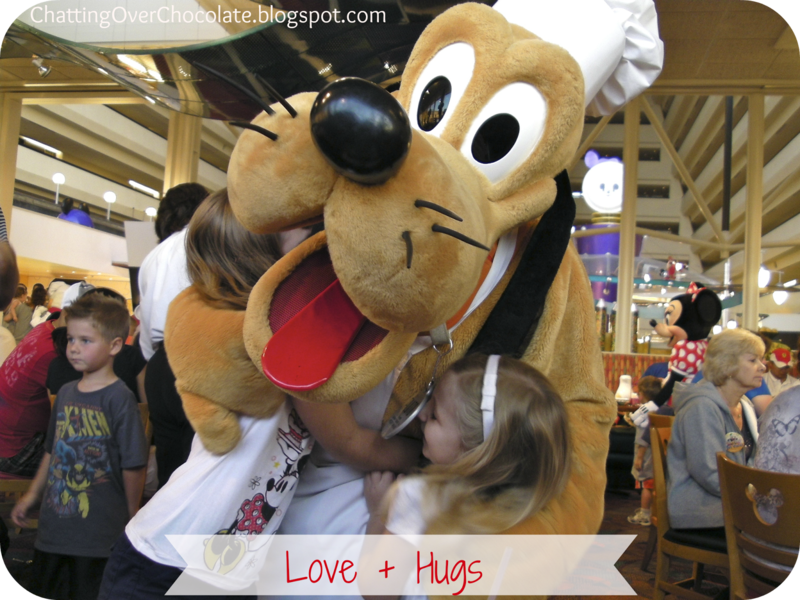 Disney eats & love from your Disney pals! Oh this all looks so fun! Can I PLEASE come with you next time you visit WDW?! ;) hehe! Thanks for sharing! Can I love, love, LOVE this post? I've been waiting for ages to plan another trip to Disney World--I'll be hitting up the Anaheim counterpart within the month for certain though. <3 Magical Monday indeed!!! I haven't been back to WDW since the new Fantasyland expansion opened, I can't wait! You always make my head spin with all of your WDW planning! lol I love the pictures of the girls with the characters. SO CUTE!!! I never heard of doing that! That would be the best way to do it! And that dessert looks freaking amazing! I can't wait until my son gets older so we can go to Disney! Planning another Disney trip next year. I haven't done any character meals before, so this is super helpful!! Thanks for coming to our Link Up Party at allthingswithpurpose.com!! We hope you have a great weekend, too!! Great rundown....I'd forgotten all about Garden Grove since we usually go on the dining plan and it's not included. We don't have it this year, so this might be the time to check it out! Wow! What a great resource for figuring out which character meal to choose. Wow! That pic show sure does bring back some memories for me! My family and I have been to all of those places above. Such a wonderful trip down memory lane. 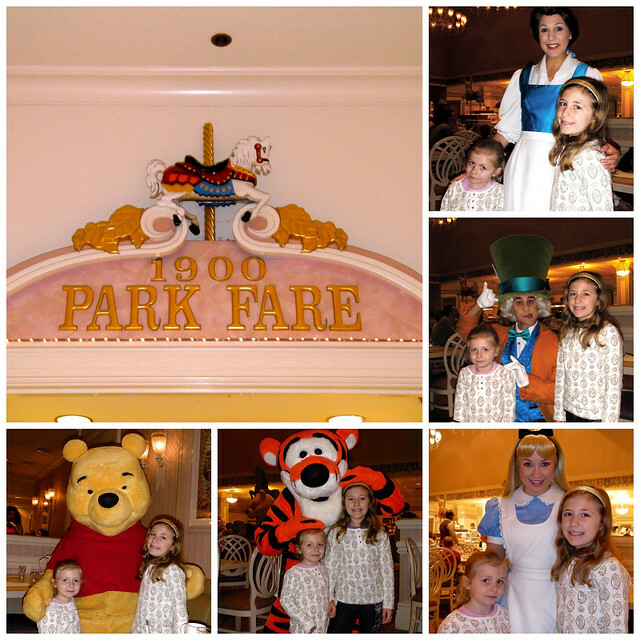 I think our favorite was dining with the princess at Cinderellas castle, but DINNER at the castle is also fun. We need to plan out next trip! Awesome tips! We haven't made it to Disney World yet but our favorite character dining at Disneyland is Goofy's Kitchen. Pinning and thanks for sharing at Mom On Timeout! Great tips! Where exactly is that delicious looking dessert trio from??? Definitely! I've been there for breakfast, but don't think they had those little tasties! LOL Thanks! I love everything disney, however I'm 23 and since I never met any characters as a child I would love the chance to meet them all now, but I'm sure that's creepy behavior. 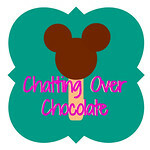 I was hoping you could stop by my link party and share this. Love the post. 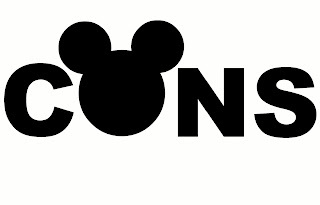 Mind if I link it from my site, grumpymickey.com? It has great info I think my readers might enjoy. This is just the info that I needed before booking our character meal. I have now narrowed it down so I guess i need to see what's available for Feb! Would Akersush be a good alternative? Do any of the princes appear or just the princesses? Thanks! !